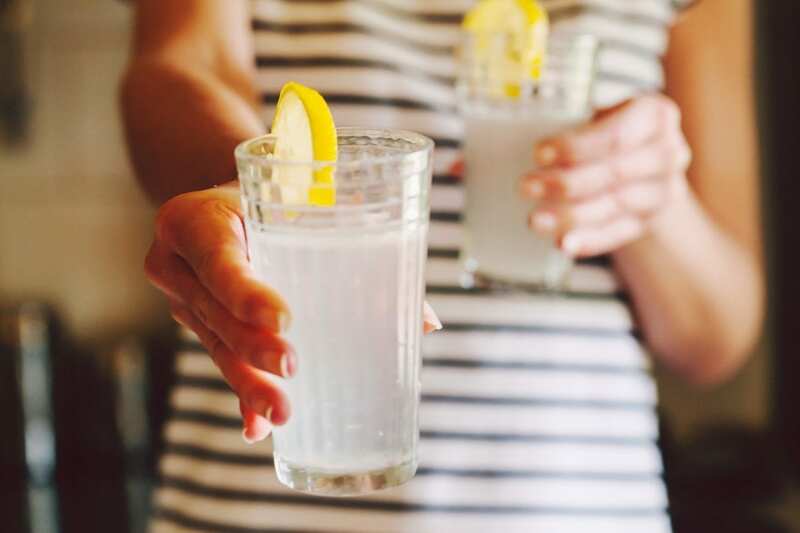 Lemon juice can help relieve bloating, nausea and heartburn. It’s common for women to feel nauseous during labor so this will hep with digestion problems. Lemons also make your drink taste better. Plain water can get boring after a while. Coconut water is nature’s natural Gatorade. It’s perfect for labor because it is filled with electrolytes, minerals to replenish hydration levels, and simple sugars. It’s important to maintain your electrolyte level for proper cell function and for energy so use coconut water instead of regular tap water for your labor-aide. Sea salt also contains electrolytes and minerals, and it helps with muscle contraction, expansion and re-hydration. Also, did you know that sea salt helps balance stress hormones when you exercise? And there is no bigger workout then childbirth. Salt reduces your adrenaline levels and supports overall metabolic health. Bach flower rescue remedy helps you stay calm, centered and focused with no side effects to you or baby. Calcium and magnesium assist in muscle and nerve activities. These two minerals help our muscles to relax or contract. This is great especially during childbirth since calcium is involved in blood clotting. It helps protects you from losing too much blood after giving birth to baby. Raw honey is rich in minerals and easily digestible sugars, which is great for giving you energy. Sugar “signals the body to down-regulate the production of stress hormones like cortisol. Cortisol levels spike during exercise and particularly during anaerobic (when you get breathless) exercise.” (source) Too much cortisol can disrupt the flow of labor, making this ingredient useful on many levels. Now that we have all of the ingredients, here is how you make it! Fill your pitcher with half of the coconut water (1 cup). Then add the lemon juice, sea salt, rescue remedy, calcium magnesium and raw honey. Pour the remaining half of the coconut water (1 cup) and keep stirring until the honey has dissolved. Place your pitcher into the fridge and let cool until needed. Pour yourself a glass once cool and get ready to rock your labor! This drink really is delicious. I’ve even been enjoying it during my pregnancy. I give it two thumbs up! Cheers to a better and beautiful birth!